Enjoy the peaceful and romantic atmosphere of a Baroque courtyard with strolling peacocks and the heady scent of lavender and oleander. Discover the intimate rooms and aristocratic lounges, rare pieces of furniture and the unique wall and ceiling murals in the dance hall. Attend local theatrical performances, exhibitions, concerts and culinary events, and you’ll suddenly find yourself transported to a different world. 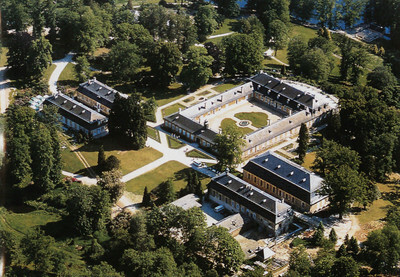 Nebílovy Château, a Viennese palace in the Bohemian countryside, cordially invites you to visit.